Hawaiian Airlines today announced the cabin design of the new Airbus A321 fleet. It will soon reign dominant in the skies between the west coast and Hawaii. Here’s a glimpse of what you can expect in terms of routes, cabin layout, seating, entertainment and other amenities. Which flights to Hawaii. This new fleet will be the primary workhorse for flights between North America and the four primary Hawaiian islands. On all but the most dense of routes (for example largest cities to Maui and Oahu) these will replace both the retiring Boeing 767 fleet as well as the A330 fleet. Hawaiian Airlines may attain cost savings of 30% to 40% per flight using the A321. The specifics of which existing and new flights will use the new A321 fleet are expected to be announced later in 2017. These planes will allow Hawaiian Airlines to be more cost effective, compete strategically with Alaska Airlines’ smaller 737 fleet and provide many new routes. Even Mexico City May Be Coming: New routes will undoubtedly include flights from the Pacific Northwest, Western Canada, Bay Area, Southern California, Las Vegas, Phoenix, and Papeete among others. 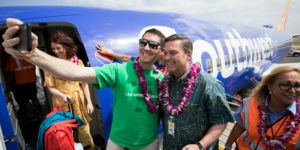 There is also the possibility of new flights to Hawaii from Denver, Salt Lake City, Albuquerque, and Dallas. Delivery. The fleet of 18 aircraft will be delivered starting in early 2018. They are less than one year away. The deliveries will occur over a period of two years. Cabin layout. Each aircraft will accommodate 189 passengers with 16 premium, 45 extra comfort and 128 economy seats. The cabin design will feature a fresh and clean, modern aesthetic. Premium (business class) cabin will have recliners, rather than the lie-flat seats on the A330 fleet. The extra comfort cabin will have 5 or more extra inches of legroom. All seats include USB charging while extra comfort and premium seats will also have electric outlets. Cabin design. Fabric and materials inspired by traditional Hawaiian handcrafts. Signage is to be in English and Hawaiian. There will also be customized design featured even in lavatories. The cabin is said to feature an LED mood lighting system. In flight entertainment. A big change here inasmuch as this will be offered on traveler devices only. A phone/tablet app can be downloaded to personal devices before boarding in order to enjoy complimentary movies, TV and content about Hawaii. Holders for phones and tablets are being built into the tray tables or backrests. Each time the cabin crew was terrific. The rest of the airlines in my opinion should take a class from Hawaiian for all customer service. It does bother me that they are going to the smaller plane 321 Neo to me any trip over 2 hours the wide body is the only way, but this seems to be the direction all airlines are going. I read that Hawaiian Airlines has ordered 6 new A330-800 neos for delivery starting in 2019. I read the comments about the new airline, we live in Florida and fly at least twice a year to Maui, The flight’s from the east coast to the west coast are hard and the airliners we use the flight crew’s can be tired and rude some times because of the hours they work, but once we get to the West Coast Hawaiian airlines is the only airline we use because they show the spirit of Aloha, by assisting me with my mother who suffers from Parkinson’s. There very aware of her presence and assist her to her seat if need be and are extremely patient if she asks a questions. Second the food quality in the first class cabin can’t be beat compared to other airlines. 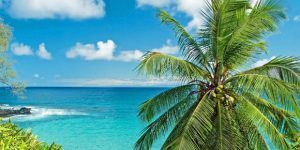 There are cheap flights on Hawaiian Airlines if you know how to look for them. I fly the SJC to OGG we been stuck,with the old planes while the rest of the West coast has the newer one, I couldn’t wait for sjc to ogg to get new planes. Now you saying they have changed planes and it will be a 3 / 3 row. I will go back to flying AA and just fly SJC/LAX/OGG before I fly a 3/3. I fly at least 7-9 trips a year, not traveling with a person I don’t k ow sitting on top of me. We agree with everyone else. We won’t be flying Hawaiian if they go to 3/3 seats. It’s okay for short flights but not long ones from the mainland. We’ll also stop using their MC. 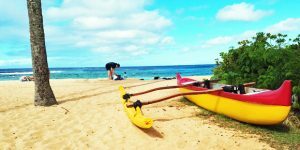 We had a terrible experience last year flying to Hawaii, their quality of service has gone downhill. Thanks for all your information and updates, love this site! 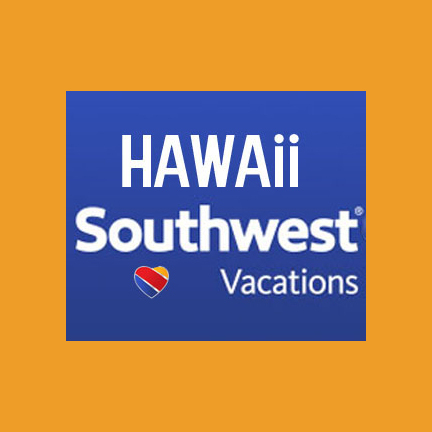 I won a holiday to Hawaii for 2 for April 2018 and the Travel Agent have booked us with Hawaiian Airlines frrom LAX, to the Big Island, so it will be interesting to see which type of aircraft we get. There are new airlines taking up the challenge of travelling to the US all the time. We are actually flying with Ethiopian Airlines from Dublin, Ireland to LAX this time, as it narrows the flight time down to 10 hrs, instead of having to go via London or Paris to LAX, (16 hrs) like I usualy do. Because we have to clear Immigration in LAX and reclaim luggage, before checking in for Hawaiian Airlines in another terminal – we decided to stay overnight at a Motel at LAX. I see that the Sheraton is offering flexible check in hrs, which I hope most hotels will follow up on, as travellers nowadays are flying 24/7. Just when I got used to their A330 first class lie flat they go and change. I have to admit that customers will go else where. I still like to upgrade in a true first class as in the old days not with skinnier planes, seats and aisles. I do have to admit that as far as customer services on the plane I have not seen another airline out do them other than when I ventured to Europe. Still for 5.5 and 6 hrs I want a comfortable seat with legroom. I don’t know about this one Hawaiian!!! Add our names to the list of those who want to avoid 3/3 seating, even in “extra comfort.” We gave up on Aloha because it felt like Southwest — which is OKfor two or three hours but not for close to six hours. 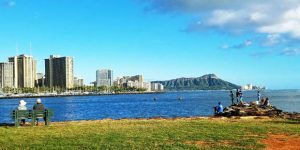 Maybe someone will bring back weekly passenger liner service from the Mainland to Honolulu.